Does it matter what time of the day I take a pregnancy test? What is wrong with taking a pregnancy test at night? You can take a pregnancy test any time you desire. The only problem is that there are several factors that could affect the results if the pregnancy test is not taken during the recommended time. The knowledge on how the pregnancy test works is the key to understanding when is best to have the test. Is taking a pregnancy test at night accurate? When is the best time of the day to take a pregnancy test? When should you take a pregnancy test after a missed period? 8. Use a sensitive pregnancy test. How accurate are home pregnancy test? False positive, what could have gone wrong? Is there a possibility of getting a false negative pregnancy result? Pregnancy test kits, whichever brand you may choose are engineered to detect a hormone known as human chorionic gonadotropin in the body (HCG). The hormone is secreted by the placenta in early pregnancy. The HCG reads positive on the pregnancy stick if the hormone is present in urine and negative in the absence of the hormone. Pregnancy test sensitivity is determined in millimeter unit per International units (mlIU). Pregnancy test range in sensitivity from 6mlIU to 40mlIU/ml. The lower the sensitivity number, the more sensitivity the test, the earlier it can detect pregnancy. While one may choose to have a pregnancy test at any time of the day, a night pregnancy test is likely to give inaccurate results. The pregnancy hormone HCG is low in urine at night especially in early pregnancy because of continued dilution during the day. If you happen to be pregnant, you are likely to see a faint second line in the evening, as compared to a clear second line if you happen to test in the morning. Why does it matter what time of the day I take a pregnancy test? For accurate results, it does matter when you take your pregnancy test. Urine fills the bladder while you are sleeping. The hormone levels in the first-morning urine will be high and easily detected on a test. Morning urine is best because of its undiluted nature. How soon should I take a pregnancy test after my missed period? A day after your missed period is the best time to take a test. An early pregnancy test is likely to be false-negative. This is because before a missed period the pregnancy is usually low in urine. For best results, you are advised to take your pregnancy test 7 days post a missed period. Research has shown that pregnancy tests did a day or two after a missed period is 99 percent accurate. The earliest that you can take a pregnancy should be a day after a missed period. The pregnancy hormone, HCG is released in small amounts during ovulation. If you happen to test early than 14 days post ovulation, you are likely to get a false positive. Similarly, you may get a false negative if you happen to test before your missed period. Avoid emotional torture and confusion by testing at the recommended time. It is important to check the expiry date of the pregnancy test you intend to purchase. Additionally, check the packaging and make sure it is not tampered with. Do not use a pregnancy test that has been lying around in the house for more than a month. There is always an instruction sheet in the test box. Different brands have different instructions for their pregnancy tests. Methods of urine collection, the testing time and symbols differ widely among the test kits. It is almost impossible to get accurate pregnancy results if you happen not to know how to interpret the symbols on the strip. There is always a telephone number on the pack. You may call to get clarifications about the symbols. Do not rush, relax and take your time, collect urine and test as instructed. Also be patient and wait until the instructed testing time has elapsed before you can look at the results. For an accurate pregnancy test, get the urine sample in a cup. Peeing on the stick does not give enough concentration to detect the pregnancy hormone. Also if you collect your urine in a cup, you may take a second test if you happen to doubt the first test. Testing using two different branded sticks will erase any doubt in your mind. In case one is faint, and you are unable to tell whether it is negative or positive, the second pregnancy test stick is likely to clear your doubts. The pregnancy tests are sold as per their sensitivity. The most sensitive test kits could be expensive but worth the penny. 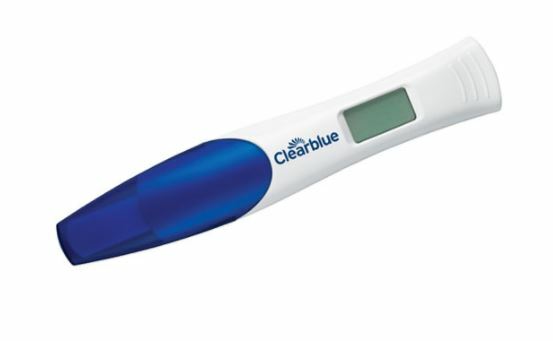 Clear blue and first responses are the most sensitive pregnancy test on the market today. The two can detect 11mIU and 6mIU of HCG respectively. For this reason, the two pregnancy tests can be used to detect pregnancy 4-5 days before a missed period. There are several factors that could affect the accuracy of a home pregnancy test. However, the accuracy of the test is 97-99 percent accurate when all instructions are followed to the latter. In some isolated cases you might continuously get a negative pregnancy test despite the presence of pregnancy symptoms. Visit your doctor as soon as you can if this happens, you could be pregnant or have an underlying medical issue. If you read the result way past the recommended time, you are likely to get inaccurate results. The pregnancy test changes every single minute, a longer reaction time than instructed could be the cause of false positive. Fertility drugs that are prescribed to trigger the release of HCG could be a reason for false positive. The impact of HCG clears 14 days after its use. Take a pregnancy test after 2 weeks of fertility treatment. A chemical pregnancy occurs when conception occurs, but implantation fails. In some other cases, implantation occurs, but a miscarriage occurs afterward. If you take a pregnancy test before the hormone HCG is secreted into urine, you are likely to get a false negative result. The chances of false negative are high if you take your test before a missed period. Pregnancy test kits are available in different sensitivity capacities. In case of a manufacturing defect, you are likely to get a false negative. It is recommended that you use more than one brand to get proper results. A pregnancy test is available over the counter at the local pharmaceutical store or on online platforms. Besides, you may opt to visit your doctor for a pregnancy test.